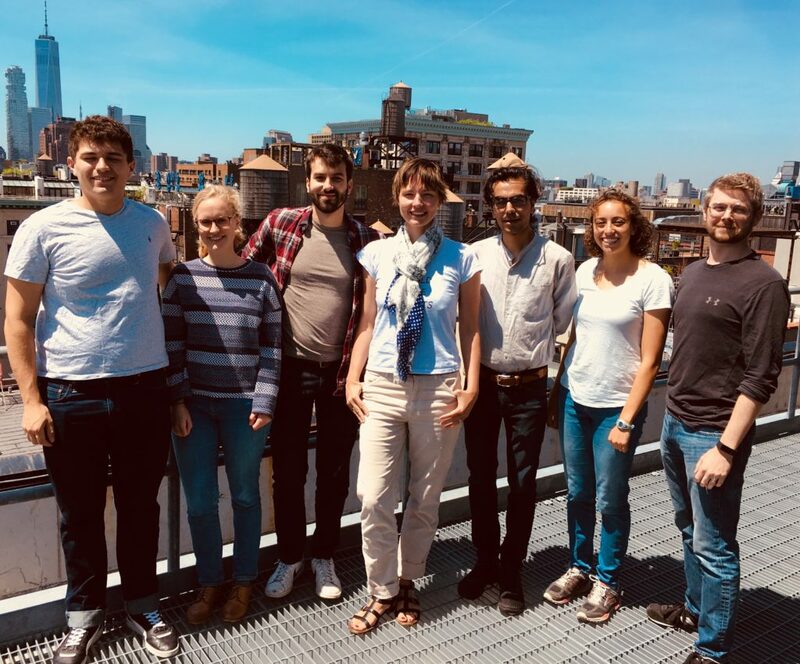 From left to right: Ross, Fanny (intern from ESPCI, France), Adrien, Jasna, Kartikeya, Miriam (REU summer student) and Angus. Have you ever looked inside a packing of particles? Walked through a room full of balloons? Picked up a single protein molecule? Danced with it in tandem? All these things are possible in our lab thanks to confocal and atomic force microscopy (AFM) and a little bit of pixie dust. On the particle packing side, we study jamming in emulsions, colloids and biomimetic systems by probing their 3D structure in detail. Our aim is to understand how topology and stress govern the structure and mechanical properties of these amorphous solids and to test their effects in biological tissues. On the single molecule side, we measure the length fluctuations in folded proteins under a stretching force to deduce their underlying free energy landscape. This statistical physics approach to the dynamics reveals new views of single proteins as complex systems. We are part of the Center for Soft Matter Research within the Physics Department at New York University. Wanna follow our news? Follow our RSS feed.